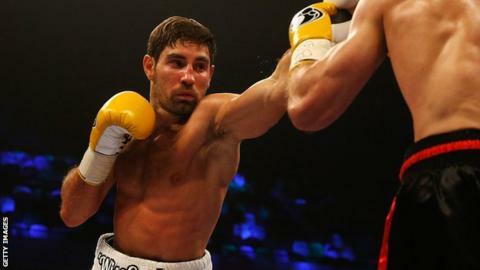 Britain's Frank Buglioni beat Fernando Castaneda to win the vacant WBA Intercontinental super-middleweight title. The Londoner, 26, had been due to face reigning WBA champion Fedor Chudinov at Wembley, but the bout was postponed after the Russian broke his nose. Enfield's Buglioni stopped stand-in Castaneda in the fifth round on Friday. It was a a fourth defeat in six contests for the Mexican, while Buglioni has 17 wins from 19 fights. Buglioni confirmed after his victory that his world title challenge against Chufinov has now been rescheduled for 26 September.